Store rainwater on your property! Rainwater harvesting is turning into a suitable option for providing households and organizations with water. It's not only for the farms any longer! There are numerous nations, for example, Germany and Australia where rainwater harvesting is customary and even required! 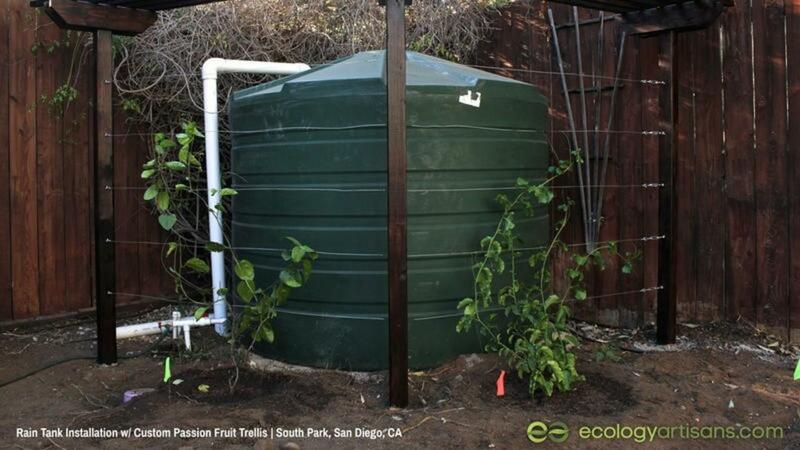 We should require rainwater harvesting here in San Diego County! The accumulation of rainwater is known by numerous names all through the world. It ranges from rainwater accumulation to rainwater harvesting to the rainwater catchment and so on. It is believed that rainwater harvesting is a practical innovation in urban settings. To make the most of this asset, we can catch the free water falling on rooftops and direct it to a rainwater stockpiling tanks. We can also pipe the water directly to the landscape and store the water in the soil, which is the cheapest of all rainwater harvesting methods. Rainwater harvesting is vital for a few reasons, yet one of the greatest is that, as per research, the world is running out of water. Water scarcity has led nations to spend most of the time thinking about water-saving techniques. Have you heard the recent news that Cape Town, South Africa might run our of water. A few countries don’t even have enough to fulfill their everyday water needs. Through rainwater harvesting, you play your part in the preservation of water. You can basically utilize rainwater any place you use tap water. Using drinking water to flush our toilets and water our yards is just not right, knowing that some people don’t even have enough to drink. Particularly in the light of increasing population, water deficiency is increasing with each passing moment. Rainwater accumulation is a procedure to make your home environment-friendly, reduce your water bill, and last but not the least, to make the world a better place. One of the easiest techniques to save water is to simply accumulate it, and that's simply referred to as rainwater harvesting. Save water to save the world!